If you are needing to have In Vitro Fertilization (IVF) to start or extend your family, you should know a few facts and statistics about the procedure. It is important that you are not under the impression that IVF is guaranteed, because that, unfortunately is not the case. Each individuals situation is different. While there is an overall 50 percent success rate, the procedure may not work for you. Some individuals are extremely lucky and get pregnant on their first cycle of IVF, the reality is that most don’t. The only way you can find out if IVF will be successful for you is to try a few cycles. With infertility rates on the rise, more and more couples are wondering how successful In Vitro Fertilization is. Couples and individuals who have the IVF procedure done in Australia are are more likely to become pregnant than any other location. It is a fact that the highest success rates from around the world happen in Australia. When you are over the age of 40, you can expect your chances of success to decrease by at least 20 percent, in comparison to females who 30 or younger. Males do not see a major decrease until they reach the age of 50 although there are thought to be other issues associated with older men fathering children such as behavioural disorders noted in the children. The great news about In Vitro Fertilization is that the procedure can be successful after one cycle, however, this is not the case with everyone. Females under the age of 30 have a 46 percent chance of getting pregnant after their first IVF cycle (this could mean a few embryo transfers – some of them frozen), while females between the ages of 40 and 43 have a less than 12 percent chance of success. There is a 38 percent chance of getting pregnant if you are between the ages of 34 and 40. If you are a female between the ages of 30 and 33, you have a 58 percent chance of getting pregnant after your first IVF cycle. Specialists will give you options and recommendations that can help increase your chances of getting pregnant after your first cycle of IVF. There are some tips that can help you increase your chances of becoming pregnant once you have In Vitro Fertilization, even after the first cycle. The younger you are when you try IVF, the more likely you are to get pregnant. For example, a female’s egg quality is better when she is younger than 35. You should also do some research and choose a clinic that has a high success rate. This does not mean you are going to get pregnant with ease, but at least you know this clinic is knowledgeable and successful with the IVF procedures they perform. 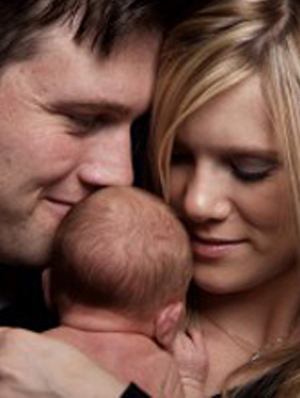 The specialist at the clinic should explain the step-by-step procedure of the IVF process with you. Remember that these tips are just to help increase your odds, but they are not guaranteed to work. Your IVF success rate will depend on many factors including your age, health and fertility issues. You could be one of the lucky couples who become pregnant after the first embryo transfer. If this in not the case, do not get discouraged – the research has suggested it takes on average 6 embryo transfers before a pregnancy is achieved! Please contact us if you would like to learn more about your chances of becoming pregnant through IVF or our other assisted fertility options.